Starting new churches is the genius of Christianity. As the population explodes and another community comes into existence, new churches are needed. As old churches lose their fervency and slip into liberalism, new churches are needed to take their place. Every community has different needs, and every group of people reflects a different composite personality. Each pastor must minister according to his spiritual gifts, hence there is a different application of Biblical principles in every new church. New churches are successful in rural, small towns, city and metropolitan areas. Men use a different formula in building each church. Yet, many patterns are similar because certain timeless principles transcend space and culture. These grow out of the nature of the church and the principles in the New Testament. Some churches have grown faster than others. No church is perfect - like young children they are growing through the pains of childhood. But even in youth, there is something compelling about a child. Each church, as reflected in each of its pastor-founders, has different strengths. Hence, each is a different example to guide those building a church. 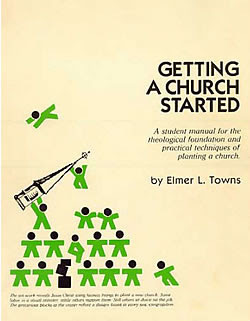 Some will not be able to follow the principles of this book and start a successful church -because they have different concepts about the church. The end product always determines the process. The end product in this book is a soul-winning, Bible-teaching church that stands for purity, obedience to the Great Commission, and separation from apostasy. Therefore, if this is not the type of church a man wants to build, all of these principles will not apply to his situation. But, in fact, not all of these principles will apply in any situation. 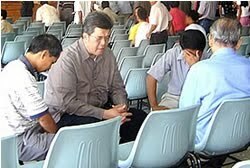 They must be read in light of Scripture, applied in relationship to the community, and integrated by the man of God. The church is close to the heart of God (Eph. 5:25), and those who start a church have a special place in God’s affection. When preaching on the doctrine of the church, I often ask for charter members of that congregation to raise their hands. These, I note, have a special place in God’s love for the sacrifice, vision, and labor that brought a church into existence. One of the greatest privileges in life is to help bring a candlestick (Rev. 2:1,5) into existence. What is a Church Planting Movement? 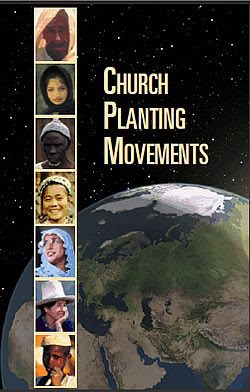 A simple, concise definition of a Church Planting Movement (CPM) is a rapid and multiplicative increase of indigenous churches planting churches within a given people group or population segment. There are several key components to this definition. The first is rapid. As a movement, a Church Planting Movement occurs with rapid increases in new church starts. 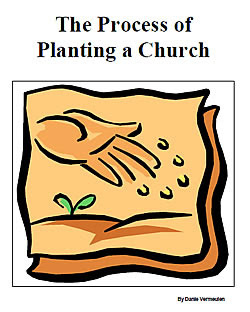 Saturation church planting over decades and even centuries is good, but doesn’t qualify as a Church Planting Movement. Secondly, there is a multiplicative increase. This means that the increase in churches is not simply incremental growth - adding a few churches every year or so. Instead, it compounds with two churches becoming four, four churches becoming eight to 10 and so forth. Multiplicative increase is only possible when new churches are being started by the churches themselves–rather than by professional church planters or missionaries. Planting Movement, but the “endvision” is less extensive. A church planter might satisfy himself with the goal of planting a single church or even a handful of churches, but fail to see that it will take a movement of churches planting churches to reach an entire nation of people. After twenty-two years of pastoral experience and having been involved in 38 church plants during this time, I have been confronted on so many occasions with the question, “How does one go about planting a church”? I have never felt adequately informed to write something in this regard but lately the Lord has burdened my heart to share on this topic from my experience, specifically within an African context. This morning at the breakfast table I was telling my family about the new training manual I am writing on church planting. My twelve-year-old son, Danie Jr. casually remarked, “but Dad, is it really necessary? It is so basic! All you do is get a few people saved and build a building and there you go.” Needless to say after we all had a little chuckle I said to him, “You are right son, it is rather basic. It is rather basic for a married couple to have children and if we are the Body of Christ it should be rather basic for this ‘body’ to reproduce itself.” Very proud of himself he said, “So what’s the big deal.” My explanation satisfied him when I said, “Son, suppose you were unaware of the fact that one day, when you got married, you could reproduce, would you do it? 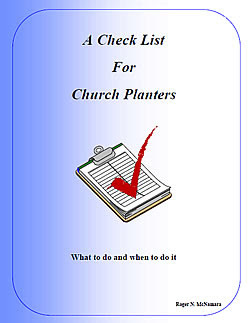 Most churches are unaware that it is actually basic that they should reproduce themselves into many other churches and that is why I feel the urgency of writing this manual.” I want every pastor and every church to know that you don’t need a special gifting to plant a new church. It is natural! I believe that I will be able to lay a foundation for my conviction from the Scriptures to help you understand that church planting is not a good idea but rather a Biblical basis for the fulfilment of the Great Commission in Matthew 28:19. I am not a theologian but I do believe with all my heart that it should be Father’s heart and vision that would motivate us and spur us on to complete the work He has given us. 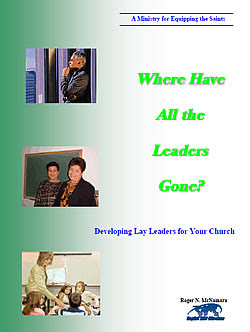 Where Have All The Leaders Gone? pdf file (653 kb) is a 92-page guide for moving people from conversion, to spiritual growth, maturity, ministry, and lay leadership through a four-phase discipleship program. Each level focuses on what you want the people to know, what changes you want to see in their lives, and what you want them to be able to do at that level. A well-balanced discipleship process is the key to developing lay leaders in the church. People flounder and don’t grow unless you have an effective discipling process in place. Church Child Safety Guidelines pdf file (626 kb) contains 99 pages of valuable information on how to protect your church and its ministry from accusations of child abuse. Many churches are grossly negligent in this area because they think “it could never happen here.” This manual explains what constitutes “child abuse” and describes in detail the steps your church should take to minimize the possibility of it happening. Helpful information includes screening guidelines and practical steps your church can take to protect itself. Biblical Principles of Stewardship pdf file (1.91 mb) is one of the keys to developing a healthy church plant. It enables churches to grow spiritually as well as financially. Stewardship is really about life management – how people use their time, talents, treasure, and testimonies. Biblical Principles of Stewardship grapples with the purpose, principles, parameters, promises, period, and programs of a biblical approach to stewardship. This 92-page manual will provide you with information, suggestions, and samples that will help you build stronger believers and a healthier ministry. STARTING THE JOURNEY – Discipleship 101 pdf file (579 kb) – the first of a series of discipleship lessons designed to help believers move from the new birth to spiritual maturity to ministry involvement and to lay leadership. This introductory set of six lessons was written for new believers, perspective members, and people who want to explore the claims of Christ. It exposes them to some of the elementary truths of Scripture that anyone wanting to be a follower of Christ should know. The Alliance for Saturation Church Planting attempts to facilitate church planting in the 27 countries of post-communist Central and Eastern Europe and the former Soviet Union. Alliance-related Facilitation Teams resident in 14 of these countries seek to identify, envision, train and mobilize existing and emerging churches to plant new churches. So that the gospel is available to every person, these teams desire to facilitate church multiplication. Facilitation efforts exist in Central Asia, Croatia, Czech Republic, Estonia, Hungary, Latvia, Moldova, Poland, Romania, Russia, Serbia&Montenegro, Slovakia, Slovenia and Ukraine. Alliance partners are also employing saturation church planting elements in Albania, Belarus and Bulgaria. 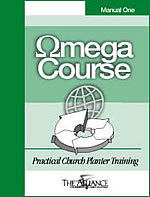 Omega Course - a five volume set of manuals on church planter training with each manual offering 26 hours of instruction on spiritual character, inductive Bible study, leadership, mentoring and vision; designed for modular instruction in a working seminar format, the training schedule can be adapted for work/ministry realities of your trainees. 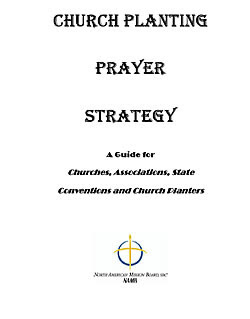 Prayer Care - a brochure designed to stimulate believers in their own prayer life and in their ministry. 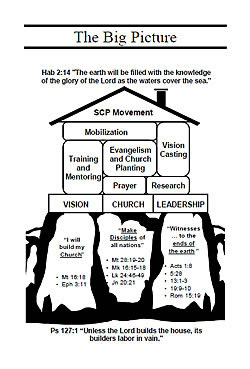 Essential Vision - a 67 page book outlining the concept of saturation church planting and the elements involved. Mentoring Manual - a 125 page book by Bob Martin, the manual is a practical tool that helps leaders understand the role of mentoring in helping church planters to be faithful to God’s call.